Seychelles is the closest place I've ever found to paradise. On the coast you'll find idyllic, palm-backed beaches lapped by spearmint green waters none of which would look out of place in a National Geographic centrefold. Head inland and there are dark forests, national parks, secret waterfalls and wildlife so rare it numbers less than the people who accompanied you on the flight to get here. 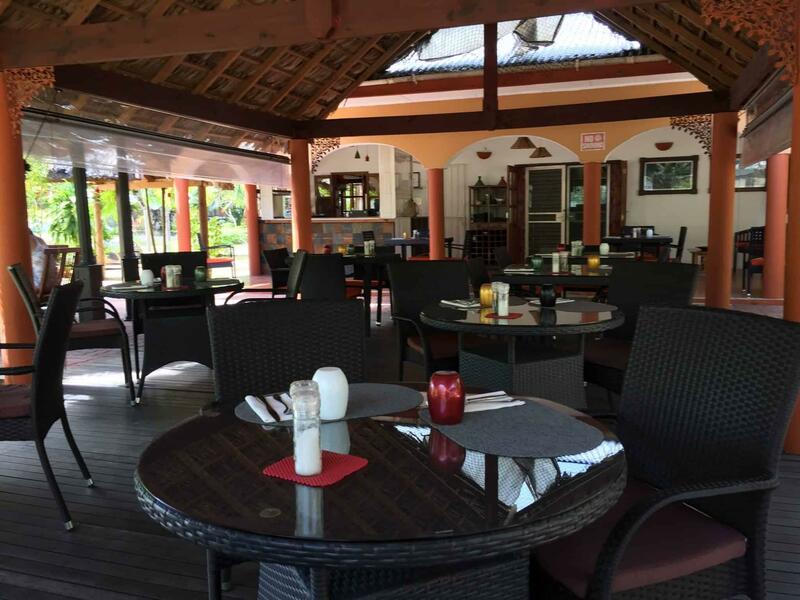 The food is magnificent - a mix of the cultural histories that give Seychelles its creole identity - and the people so laid back that you'll find some locations barely touched by the hand of modern life. With British Airways starting direct flights from Heathrow in March 2018 now is the perfect time to experience paradise. Becca and I visited in early October 2017, staying on the island of Praslin as well as taking day trips to Curieuse, St Pierre, Cousin and La Digue Islands. Below you will find details of where we stayed, where we visited and the wildlife we saw whilst we were here. Hopefully you will find this useful if you’re planning your own trip, or will just enjoy reading about our adventure. If you need any advice or want some help planning a trip of your own just add a comment at the bottom or send me a message through the contact page. Hand-made wooden curios whittled by an old sailor with some amazing stories to tell! 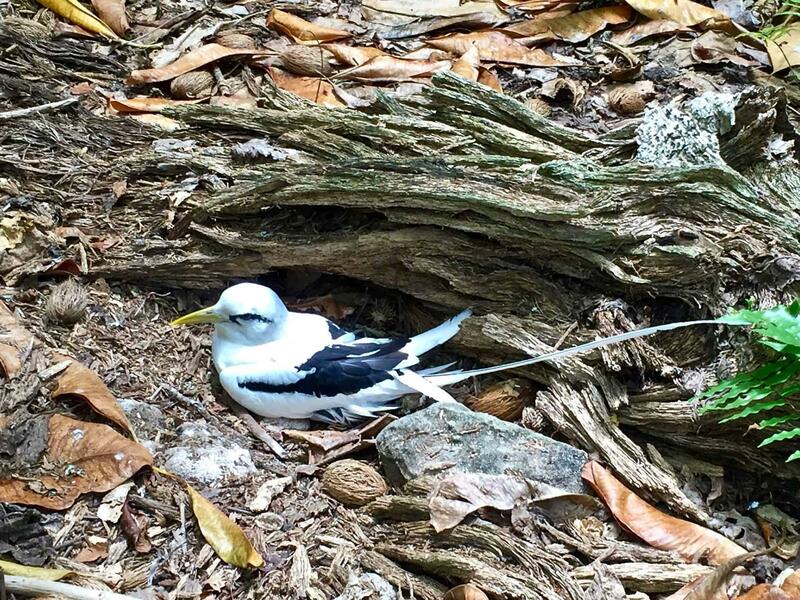 The island saved by a bird! A fantastically run set of two private chalets booked through Airbnb. Owned by the wonderful Tatiana and Pascal they are set on an almost private beach about 5 minutes drive from the airport. 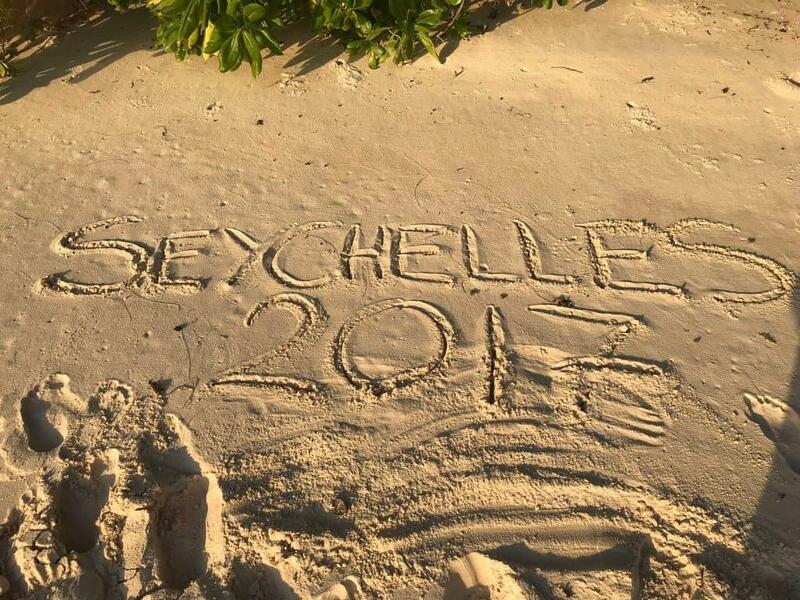 A list of the most romantic places to stay whilst in the Seychelles. Good pizza, great cocktails, incredible desserts! The tastiest food we had on our trip but slightly more expensive. Treat yourself! 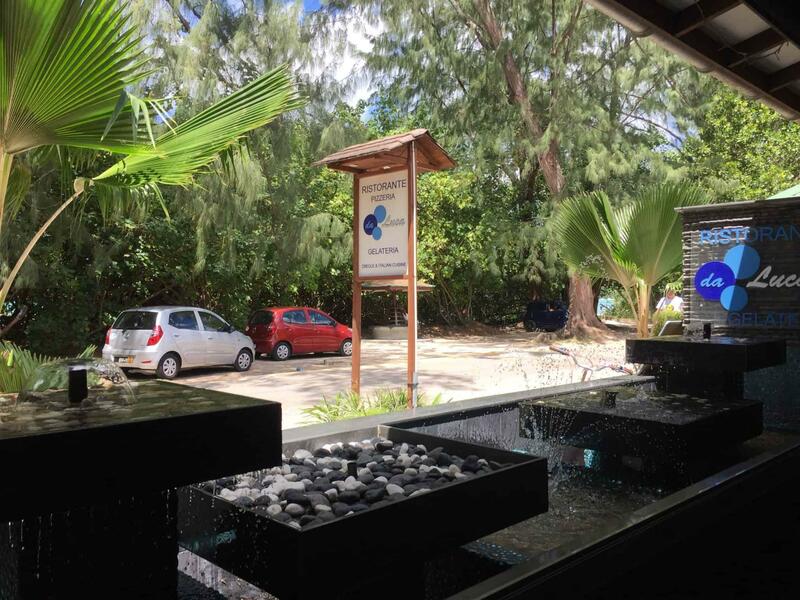 This will give you and idea of our costs and travel arrangements when getting to Seychelles. Things have changed a little now with British Airways flying direct flights from Heathrow in March 2018 cutting out the stopover in Dubai. Here is a full article giving more information on our flights and car hire here. 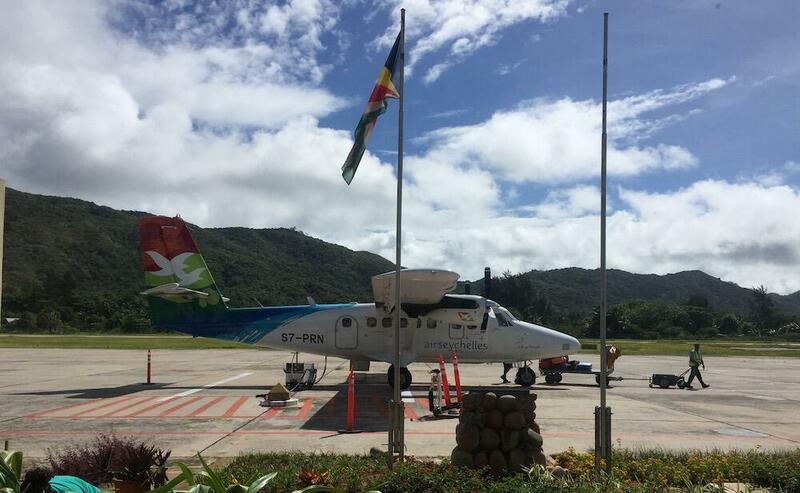 Concerned about the early morning transfer between Praslin and Mahé? Click here and I will reassure you! The Seychelles are a group of 115 Islands about 1,000 miles off the east coast of Africa and north of Madagascar. The population of the Seychelles is around 95,000 with nearly 250,000 tourists visiting every year. Three main languages are spoken on the islands. Mostpeople use English with tourists,French tends to be the language of business and Creole spoken in the home or socially. 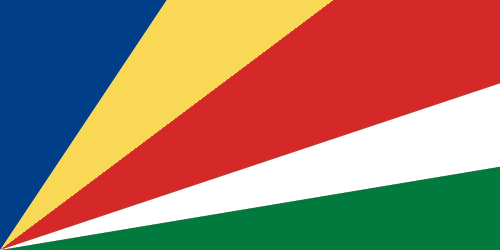 The flag of the Seychelles is one of the most unique in the world with the colours radiating from the bottom left hand corner in an unusual pattern. It is the third flag used by the country since its independence from Britain in 1976 and had been officially in use since 8th January 1996. The bands symbolise a ‘dynamic new country moving into the future’. Blue for the sea and sky, yellow for the sun, red for the people, white for justice and social harmony and green for the land. In July and August, southeast trades usher in cooler, drier weather but winds whip up the waves. Spikes in European school holidays push prices up in July and August. Extremely humid between December and February. Cyclone activity elsewhere in the Indian Ocean may produce heavy cloud cover between December and March. Fewer visitors but temperatures still high. Easter can be very busy. Normally calm and windless periods, great for swimming and boat excursions. Best months for diving visibility. Accommodation prices slightly lower than high season. The sea breeze provides plenty of natural air-con. 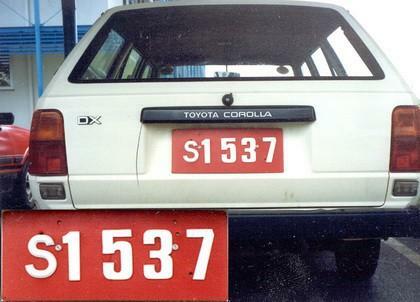 The official currency is the Seychelles Rupee which at the time of writing was about 18 to the Pound. Pounds, Euros and Dollars seemed to be widely accepted on the island with all change being given in the local currency of the Rupee. The Euro was the second most common currency and could be used to book most big excursions. Smaller shops, restaurants and petrol stations only accepted Rupees and many did not have card machines so make sure you keep cash with you at all times. Click Here for current conversion rates. Tipping is not generallyexpected here. Costs felt pretty high in the Seychelles. The price of some things can be kept down, especially food by going self-catering or using some of the amazing creole takeaways (you can see a few on the ones we used in the articles above). Keep an eye on prices in supermarkets as some things are far more expensive than in England (onions and milk for example) whereas others are much cheaper (coconuts, fresh fish!). I imagine this is down to import costs. There is also big variance between supermarkets. We saw a bottle of branded rum at 280Rs for 500ml in one supermarket and the same brand at 270Rs for 700ml just up the road. Eating out can be expensive as can excursions to other islands. 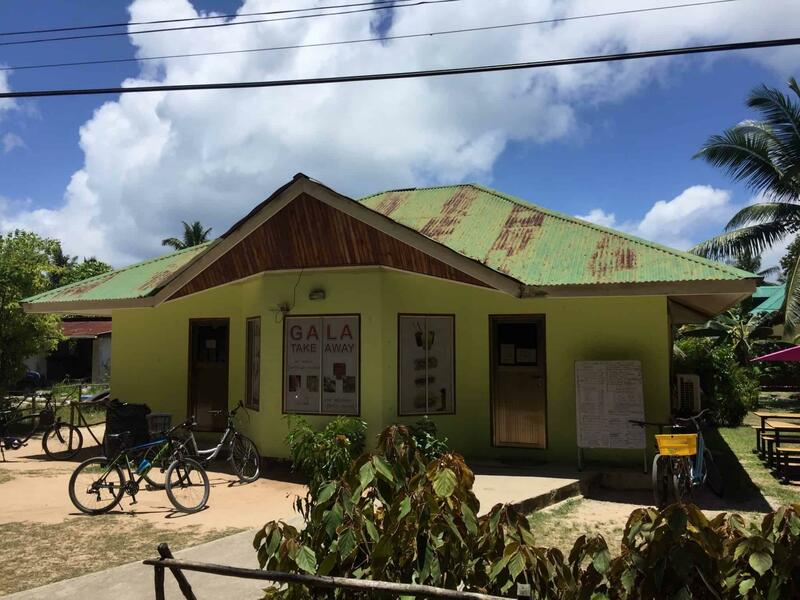 Praslin only has three bus lines, but each line covers nearly all of the sites you’ll want to see as there are only a few roads. Tickets are bought from the bus driver, but be the fare stays the same no regardless of how far you travel (the same as using an Oyster Card on a bus in London). Ferries travel between Praslin and some of the other Seychelles islands several times each day. Tickets can be purchased online or in person, and the trips can be as short as 15 minutes, depending on which island you will be traveling to.